As a RET (research experience for teachers) it is our job to identify research based curriculum that will introduce middle and high school students to the goals of FBRI. Although much of the research is more complicated than what most middle level students are able to comprehend, it is the FBRI RET’s mission to learn about all the different investigations and pull from them important concepts that are & can be introduced at the middle and high school level. We use FBRI as the hook to get students interested in STEM (sciences, technology, engineering and math). 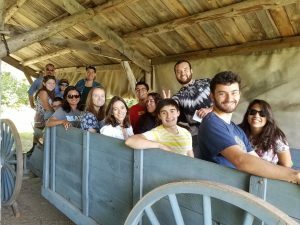 Descriptions of the summer REU (research experience for undergraduates) research projects are posted in the category labeled “FBRI REU Research Summaries” along with the professor/s with whom they work. We hope this blog proves to be useful. It is a place to ask questions, share ideas and discuss how the FBRI curriculum ideas can be improved.